GOgroove's BBR desktop speaker offers immersive room filling audio with two 50mm full range speakers, bluetooth and 3.5mm connectivity, and a rechargable battery. 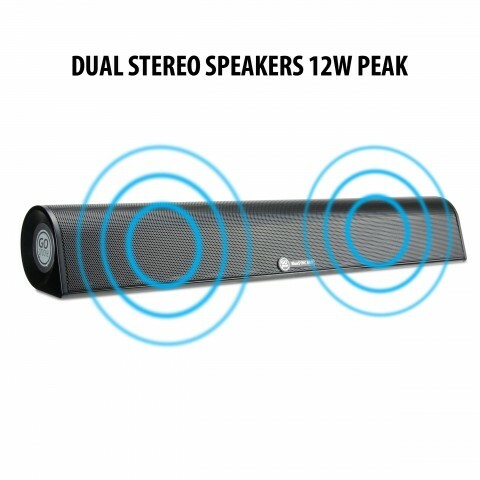 Enjoy quality audio at your desktop workspace, in the kitchen while cooking, or for use in the bedroom or patio. 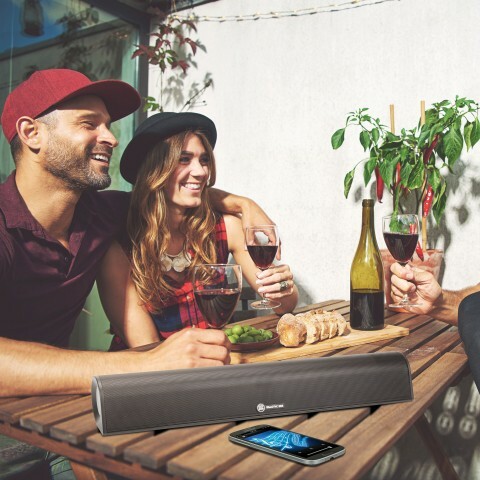 The GOgroove BBR features bluetooth wireless connectivity with auto-pair that automatically pairs the speaker the last device it was paired with. 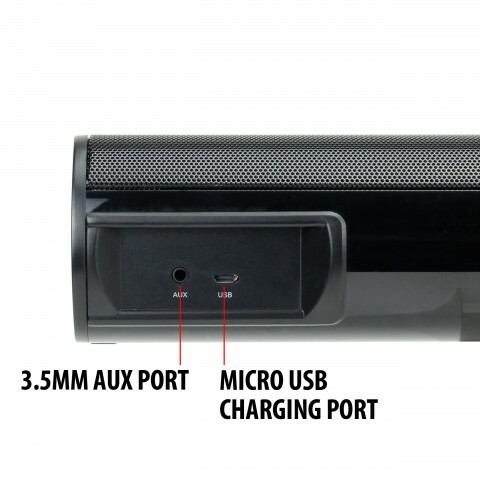 Alternatively, you can connect via the included 3.5mm cable to use with your desktop computer, phone, tablet, and more. 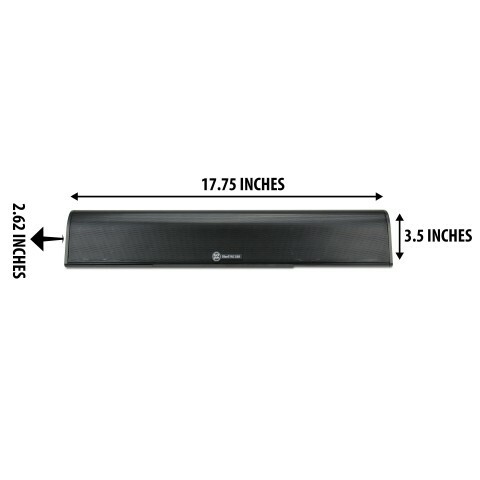 Featuring a rechargable design and a 17.75 inch size, the GOgroove BBR is ideal for a home speaker or sound bar to move from the kitchen to the bedroom, or from the patio to your coffee table. 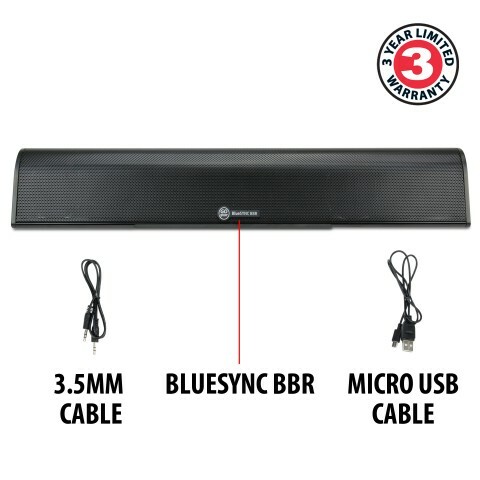 A 6 hour battery life and sleek modern design with universal connectivity makes the BBR the perfect sound bar around the house or at your desk. 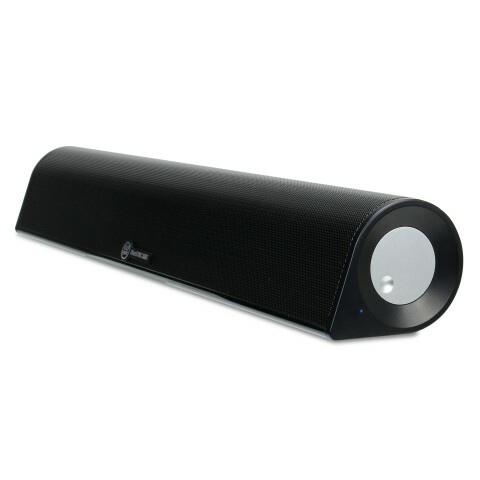 An angled design with rubberized non-slip gripping feet keep the BBR pumping quality audio at the best angle, upwards towards your ears. 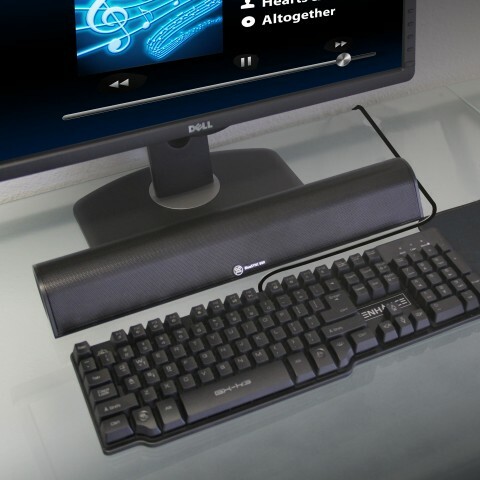 The sleek modern black design complements your gaming desktop, coffee table, or nightstand perfectly. 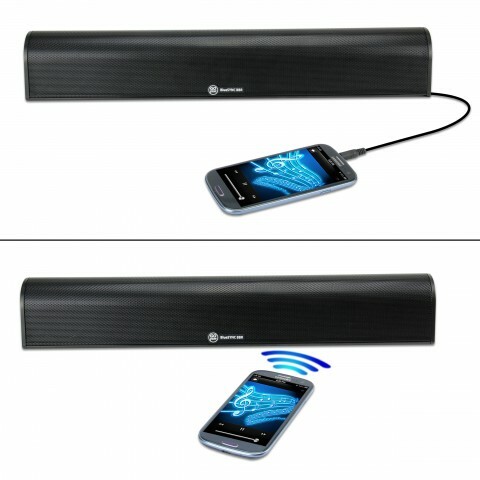 Get your groove on with GOgroove.